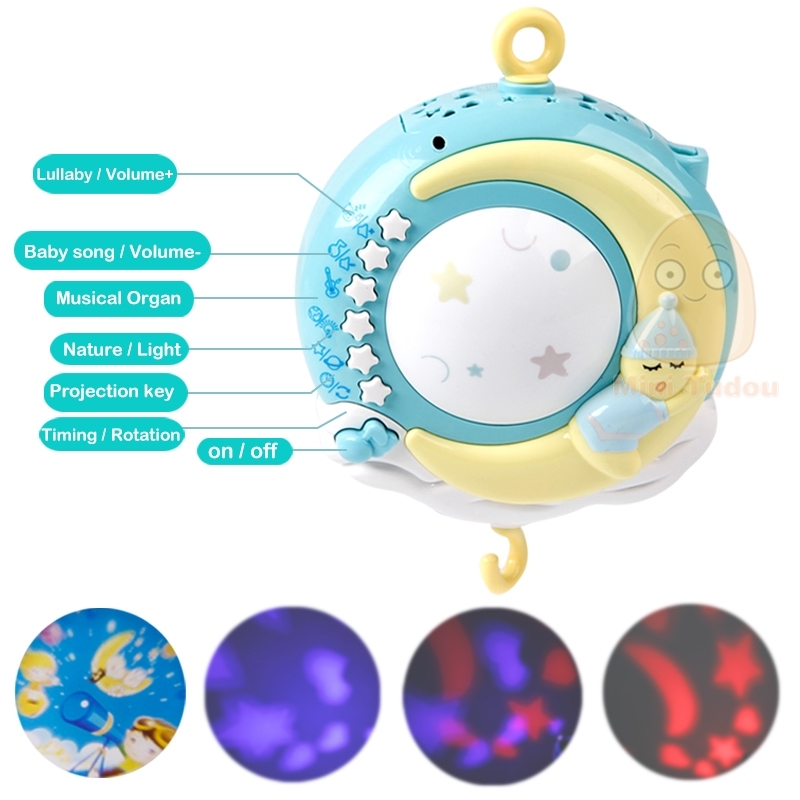 Projection & Musical: Crib mobile with star light and image 2 mode of projection .Totally 6 songs, 5 nature sounds and 150 beautiful melodies.Bring a comfortable environment which is suitable for baby sleep. 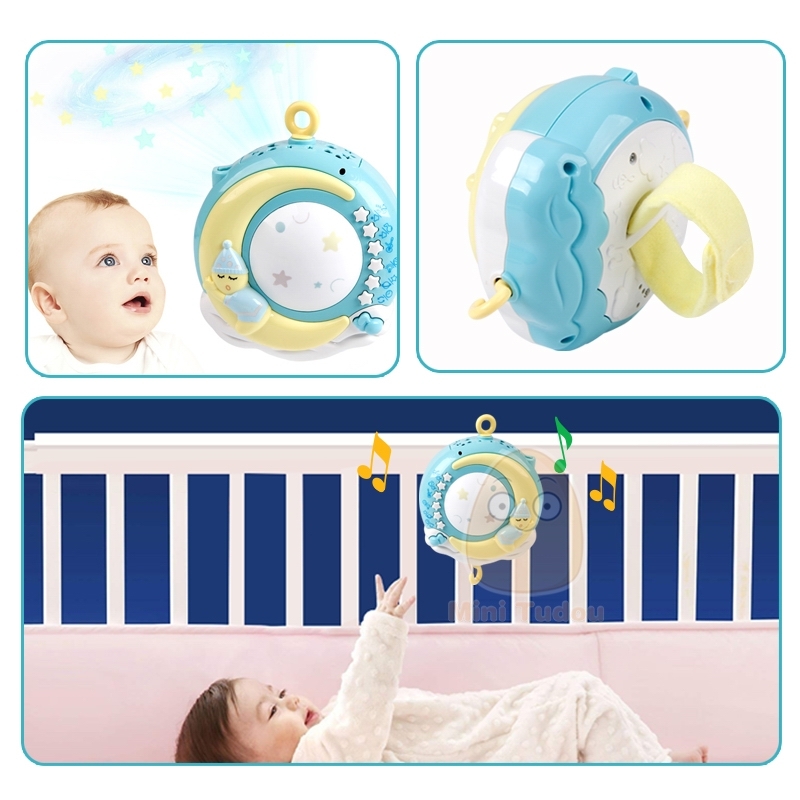 Timing Function: 20/40/60 minutes timer,the music box will be closed automatically by the time you set.Timing shutdown function create the ideal sleep environment for your baby. Easy to Use: Easy to assemble and attaches to the crib.With a remote control,it can control all the function of music box. Scroll down the page for more detailed images and information. Please allow 10 – 30 business days for delivery to the United States, Canada, United Kingdom, Australia, New Zealand and all European Union Countries. Please allow 15 – 30 business days for delivery to Central & South America. Night Light,it’s a calming night light when it is time for bed. Very good toy for the child)))) i advise the store!!! Thank you very much! Ordered from russia. Before g. Eagle delivery 4 days. Everything is super, it works. Delivery to bryansk about 3 weeks. Very satisfied with the quality of the product, i recommend! Super fast shipping. Yesterday paid, today received, courier delivery to the house. Thank you very much. Toy in a beautiful box, a real gift option. We are delighted, we hope that everything will work. Thank you very much to the store, we will order more toys from you. Perfect store! Amazing item! Fast shipping! Thank you! Just delighted. The order came within 2 weeks by regular mail. Everything came whole. The batteries were included, but very weak. Everything corresponds to the description. You can not completely turn off the music. Thanks to the store for the goods. Pleased with the goods and the fast work of the store. The shipment was fast, the delivery itself is less than a month, all the way tracked. The mobile itself is quite large, the quality of plastic is good. Music plays, but has not yet learned to use correctly all the buttons. Remote with battery. The photo will be a little later, while there is no crib. Description accurate, the carousel came quickly, the track was tracked. Everything works well, good goods. The store is sociable and attentive. The toy is super, i will not take pictures because the pictures are full, take everything the remote also works. The store sent the goods quickly. Delivery super fast in 2 weeks, delivered home. The thing is super, for this money just a find. Great mobile. I got 11 days to st. petersburg. Thank you store! I bought it for a gift, i really liked the mobile, my sister and her husband are happy. Everything works fine. In khimki within 15 days delivered from the moment of order. Seller recommend. Like in the picture. Very beautiful and easy to assemble. The lights and sounds work very well. It goes very well too. Very satisfied. I do not regret my purchase.